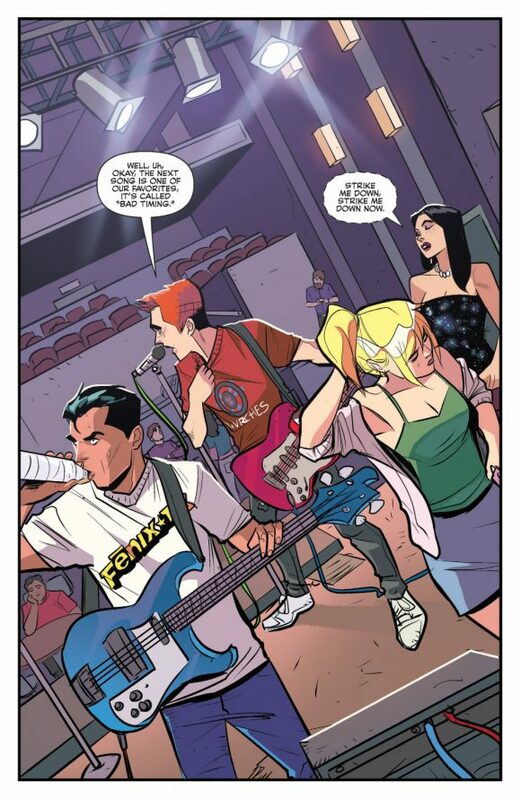 Back when The Archies was announced, I put together a list of 13 musical acts I wanted to see the Riverdale crew meet up with. (Click here.) The Monkees were one of the easiest choices to make — perhaps the easiest choice. “The ultimate prefab group meets the ultimate prefab group. It’s like a pop-music ouroboros,” is what I wrote at the time. 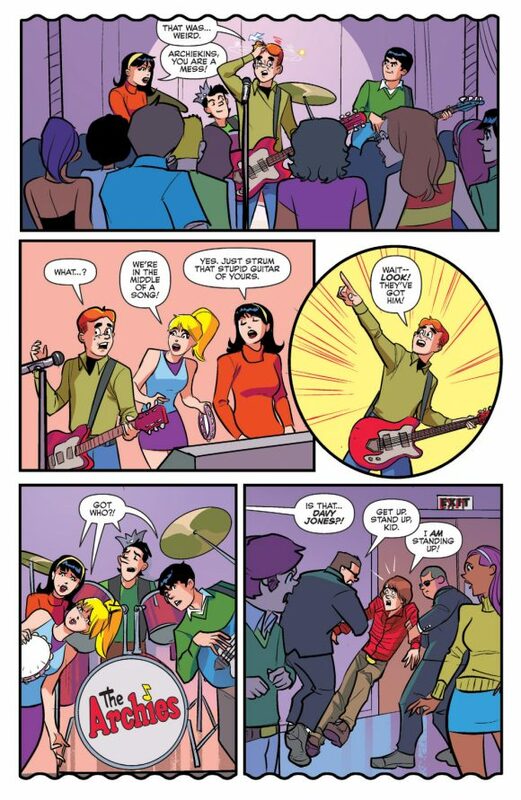 On 1/10, it’s happening in The Archies #4, by Alex Segura and Matthew Rosenberg with art by Joe Eisma, Matt Herms and Jack Morelli. 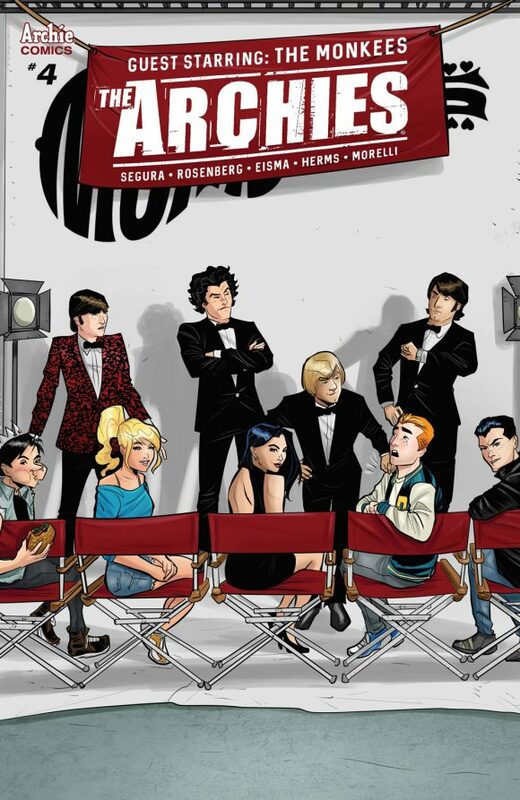 And there are four covers to choose from: The main one by Greg Smallwood and variants by Mike Allred and Joe Eisma, plus a Monkees.com exclusive by Tyler Boss. 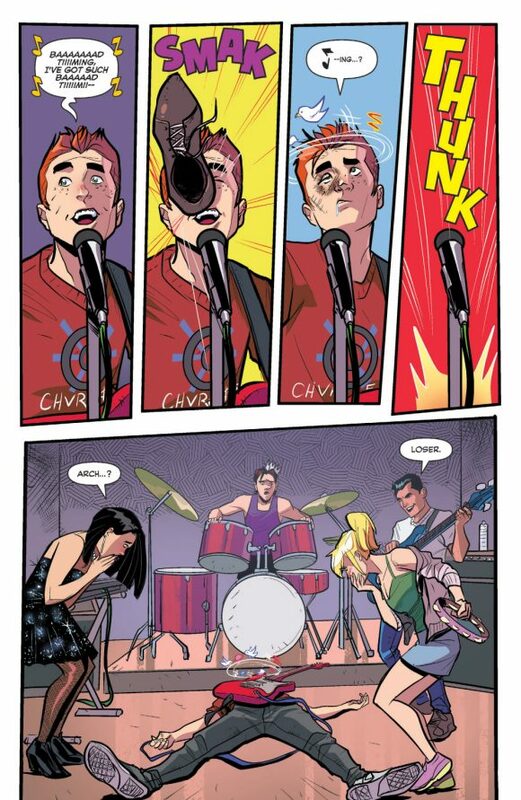 Allred, by the way, is a Monkees fan of the highest magnitude. He even put together a list of his 13 Favorite Monkees Songs, which you should most certainly check out here. So let’s get on with the EXCLUSIVE PREVIEW. 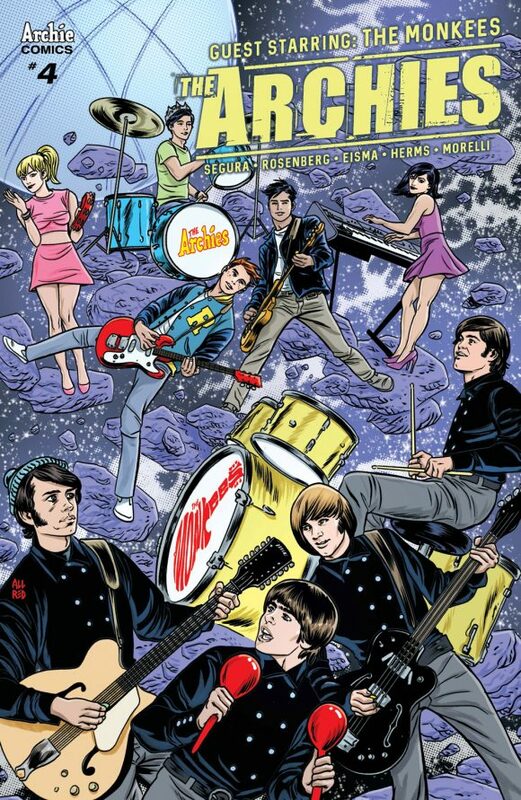 — MIKE ALLRED Picks 13 Favorite Monkees Songs. Click here. 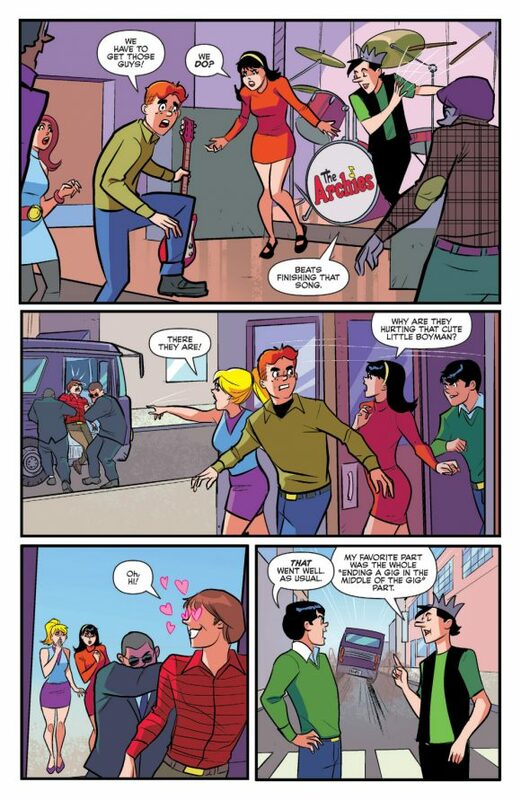 I like the twist of sending the Archie characters back into the form that they would have been in when the Monkees television show was on. And I really like the references to the catch phrases in the old TV show. But I am NOT a fan of this artwork. The only Monkee you can tell from sight is Michael Nesmith and that’s only because he’s wearing his greeen bonnet. 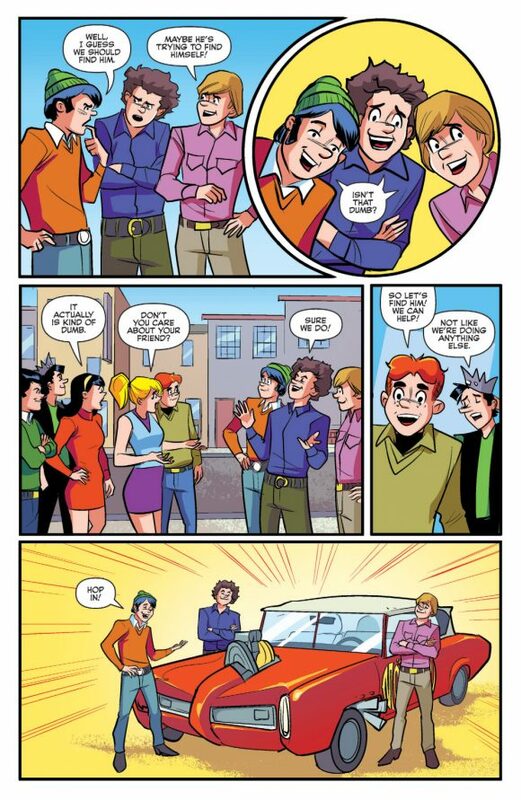 I love how the story pays homage to the 1968 Filmation’s “The Archies” animated series featuring the cast wearing the clothes that were designed for the animated series. 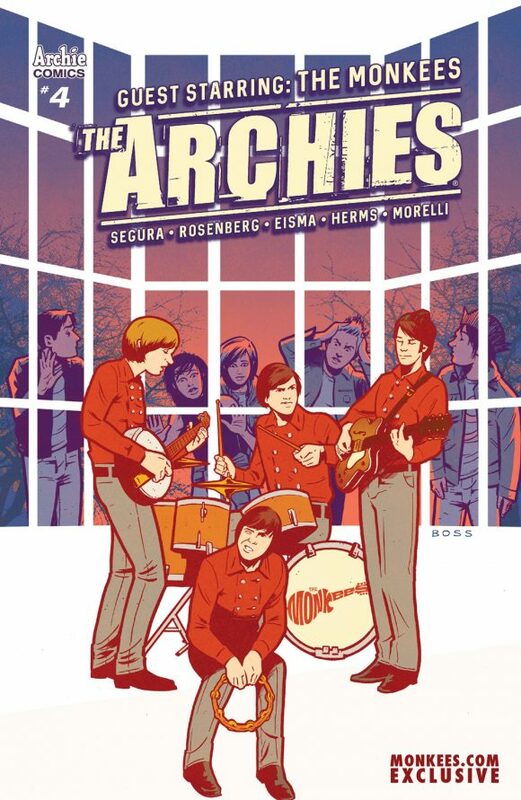 The Archies was the number #1 Saturday morning series overall even besting the Batman//Superman Hour. 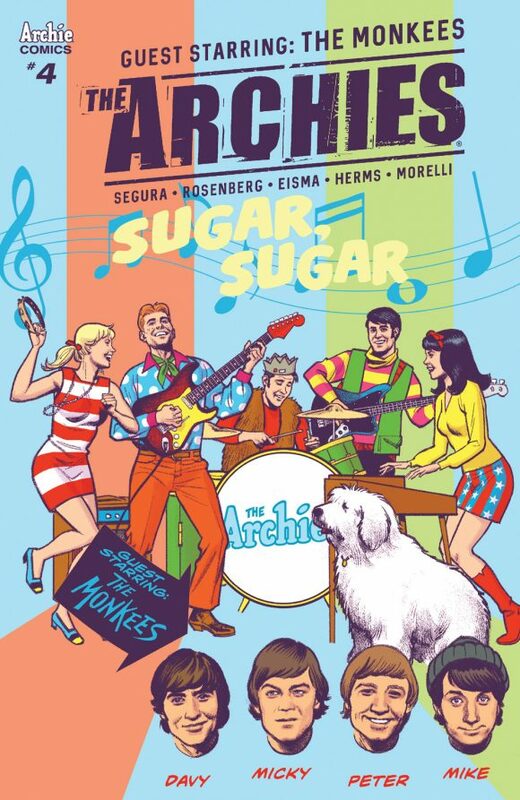 Lou Scheimer (President of Filmation) who was a mentor and friend told me years ago that The Archies animated series was the inspiration for Hanna-Barbera creating Scooby-Doo a year later. 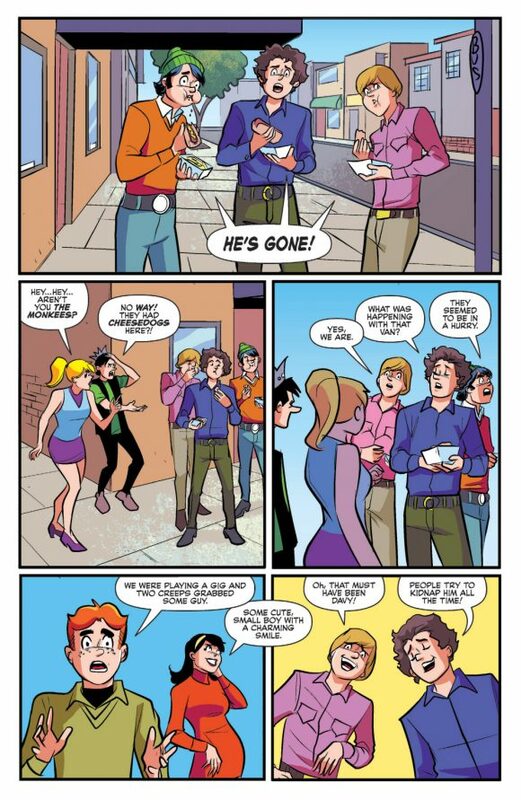 I actually disagree with a comment above and think the Monkees are depicted just fine in the Archie style. I definitely could tell who was who. On Facebook, I did make the joke about Peter belt buckle though.